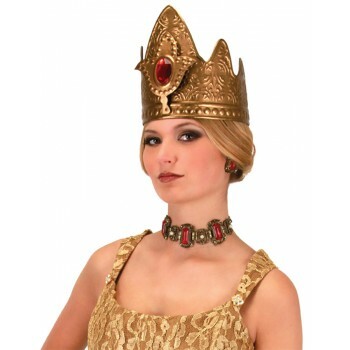 Embossed antique gold material crown with velcro adjustable closure. Large plastic jewel adorns the dimensional fleur-de-lis. 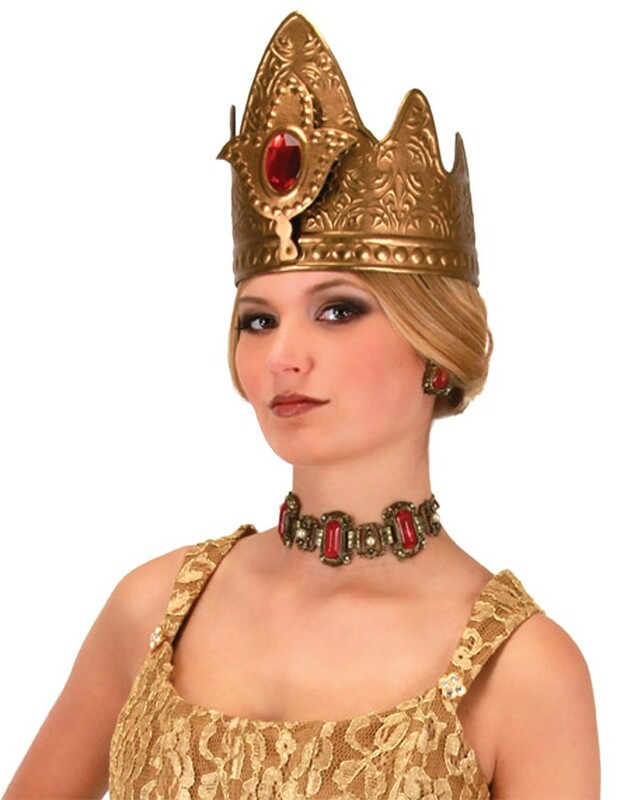 Great for medieval era royalty or any worthy queen!